With the increased enrollment in SilverScript, there are naturally more questions about it. “We reached out to the GIC and asked them what questions are most frequently asked,” reports Insurance Coordinator Cheryl Stillman. “As always, the GIC responded promptly with the following Q&A on the SilverScript program. Q) What happens to my spouse or my dependent who is covered on my plan but is not eligible for Medicare? A) Your covered spouse and/or your covered dependent who is not eligible for Medicare will continue to be covered under the non-Medicare prescription drug plan. He or she should continue to use the same prescription drug ID card that he or she is currently using. Q) Which pharmacies can I use? A) You can use any SilverScript network retail and mail order pharmacies, as well as long-term care and home infusion pharmacies. Visit SilverScript’s website, or call SilverScript at 1.877.876.7214 to find the network pharmacies near you. TTY users should call 711. Q) Can I get my prescriptions filled at a Veterans Affairs (VA) pharmacy? A) VA pharmacies are not included in Medicare Part D plan networks including SilverScript. The federal government does not allow anyone to receive benefits from more than one government program at the same time. However, if you are eligible for VA benefits, you may still use VA pharmacies under your VA benefits. Contact the VA Administration to find out the copay for the drugs you get filled and also contact SilverScript for copay details so you can compare the two programs and determine the best option for you. If you go to a retail pharmacy, such as CVS, Walgreens, or any other retail pharmacy, the claim will first process under your SilverScript Medicare Part D benefit, then it will process through TRICARE, where applicable. Questions concerning coordination of benefits, should be directed to TRICARE. Q) How does my income affect what I have to pay for my Medicare coverage? For 2017, if your modified adjusted gross income from 2015 is over $85,000 for an individual or $170,000 for a married couple filing jointly, you must pay this D-IRMAA. You will be notified by Social Security if you have to pay this additional amount. Some people are currently paying an extra amount for their Part B coverage. If so, they most likely will also be required to pay this D-IRMAA. The D-IRMAA amount is deducted from your Social Security payment or you will be billed by Medicare. If required, it is important that you pay this additional amount of $13.30 to $76.20 month, depending on income. If you don’t, Medicare will disenroll you from the plan. 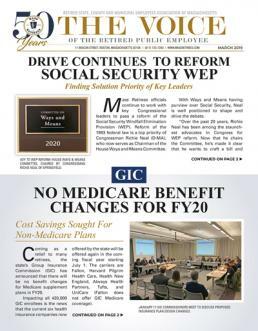 If you are disenrolled from SilverScript, you will lose your GIC medical, prescription drug and behavioral health benefits.